Quote: " Every day is a GREAT day!" Melissa Cochran, Age: 28, Representing CALAB, Inc.
Melissa was born in Boston, MA in 1983. Melissa has lived in San Antonio for 20 years, and loves participating in local events that help raise money for music and the arts. Melissa has worked at Whataburger for 4 years and loves being an important part of the team. 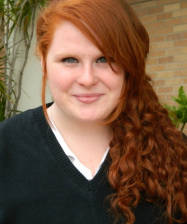 Melissa is friendly, outgoing and enjoys talking to family and friends. Melissa's family is very important to her. Melissa also enjoys meeting new people and always goes out of her way to make people feel comfortable. Quote: "Huge honor to be a representative to people with special needs in San Antonio." 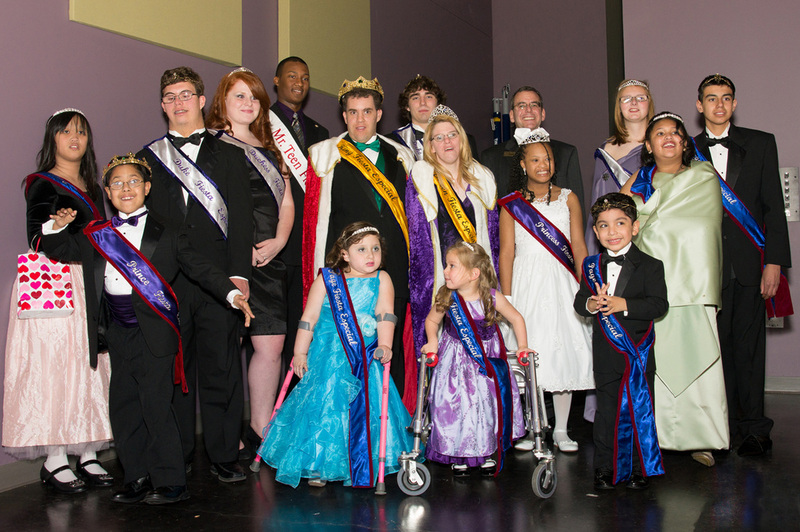 A Special Thank you to our Royal Court Supporters! 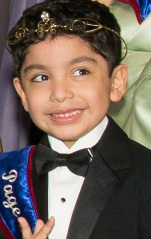 Julian is an energetic eight year old born in San Antonio. He has two sisters, a loving mom and dad and extended family who feel blessed by his caring nature and sense of humor. His love for life, family, friends and God is evidenced by his unlimited joy. Boundless imagination has given him amazing and unique access to the world around him. He is currently in 2nd grade with an all A average and is a Wii master. Quote: "I want to be prince because I love performing and being the center of attention! And my Dad tells me that princes get all the chicks!" Jada Nicole Cherry was born in Heidelberg, Germany, October 5, 1998 to proud parents Aundrey and Sherri Cherry and an eager big sister Jasmine. Jada is known as a “Military Brat”, She was born in Europe and she has lived in North Carolina and Hawaii. Before moving with her family to San Antonio in 2006. Jada is an 8th grader at Hector P. Garcia Middle School; she is in the ALE program and attends the Acting Up Academy after school. 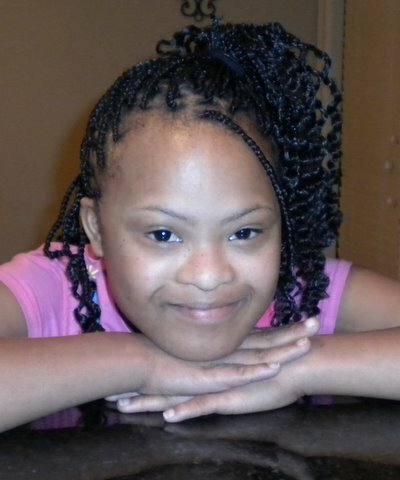 Jada participated in the choir for her 6th and 7th grade year and is currently in the school arts program. Jada has been on the A/B honor for the last 3 years and is looking forward to attending Louis D. Brandies High School in the fall of 2012. Jada is a girl scout who enjoys selling cookies each year and learning and growing with the other young ladies of Troop 1915. Jada is also a member of the Keen Teens as a part of Jack and Jill of America, Inc. where she works with other kids her age on different community events and activities. Jada has participated in the San Antonio Jack and Jill of America Chapter Founder’s Day Fashion Show and Luncheon. She is junior chair of Team Jada All Stars, nonprofit organization raising awareness and promoting the inclusion of children and young adults into regular activities and programs for all. 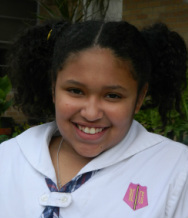 Jada aspires to be a “Pop Star” and a teacher, depending on what day of the week she is asked. Jada’s her family and friends think she is very special, but she is also an average teen girl who enjoys talking on her, cell phone, shopping, beating everyone at Wii or Xbox Kinect and just hanging out with her girlfriends. 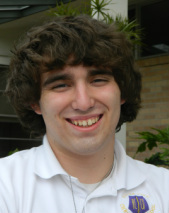 Gabriel Hey is a high school student at Monarch Academy. He is an active 17-year-old who is very much involved in the community. Gabriel attends Community Bible Church where he dances Hip Hop and leads worship with Puresound, the high school choir. 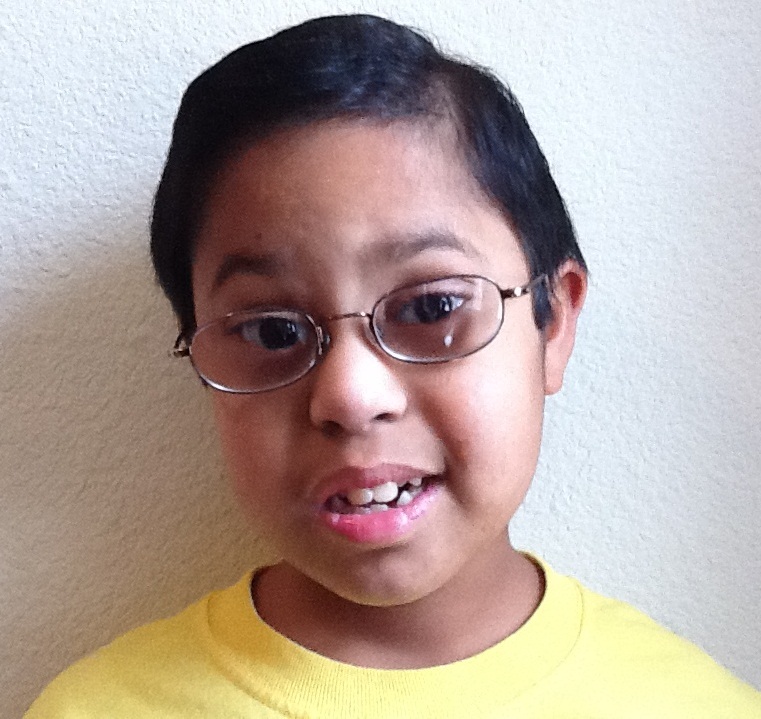 Gabriel enjoys sports of any kind, but he especially loves to play baseball and soccer in the spring and fall. In his leisure time, Gabriel is dancing along to High School musical or singing to KLOVE on the radio. 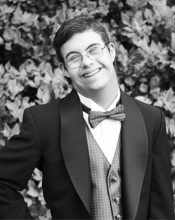 He enjoys his time with his friends and would love to someday work at Disney World in Florida. Gabriel is supported by his parents, Pete and Maria, and his siblings, Hannah and Malachi. Gabriel is very social and loves to tell jokes! Quote: I get to wear my suit, walk with Lizzy and wave to everybody! Elizabeth Alana Oveland was born May 11, 1995. Elizabeth, who goes by "Lizzy" is a precocious, witty, sensitive, caring person. She loves to swim, bowl, play basketball, enjoys going to church at Grace Fellowship Baptist Church, and as our Pastor says "opens many doors" in her life through her caring attitude and friendliness. Lizzy absolutely loves attending school at Monarch Academy at Morgan's Wonderland. She enjoys learning from the creative and engaging teachers at there. She is surrounded by a team which includes her parents who give her security and limitless opportunities. Lizzy has an adoring family: her older brother and protector, Chris, Dad Greg, and Mom Debbie. A favorite outing is going to visit her Aunt Amelia who lives close to Lizzy, both geographically and in her heart. Lizzy adores her cat Eve and another rescue pet, her brother's dog Shep. Lizzy is joy! Jonathan Thomas Davis, better known as JT to his friends, is a senior at river City Christian School and the son of John and Mitzi Davis. Jonathan is a member of the national honor society, and president of the student council. He is a 4 -year letterman in football, basketball and track at River city and has gained All District honors in football, basketball and track and All State honors on track. He loves to hunt and fish and spend time with his friends. He has a love for classic cars and hopes one day to own a 1965 Mustang. Jonathan is planning on attending Schreiner University in the fall and major in exercise science or possible criminal justice. Bethany Rheannon Chambers is 18 years young. She was born and raised in San Antonio Texas, a true country girl at heart. She loves her parents Ryan and Shannon Strey with all my heart. Bethany’s hobbies are playing with her dachshund, Allison Hope, and hanging out with her best friend since third grade, Brittney. 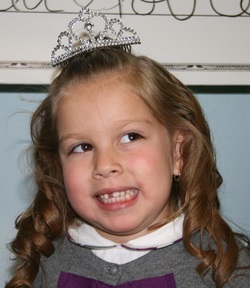 She is currently a senior at River City Christina School where she has been a student since the 3rd grade. It truly is her second home! Bethany works there in the after school program with the best mentor ever, Ms. Guzman! When she graduates she would like to start her college education at Our Lady of the Lake University. After obtaining her degree in Early Childhood Development, her dream is to open up her very own daycare called Boys and Girls! Bethany feels very blessed and thankful for the opportunity to stand up here today and represent River City Christina School! Quote: “To simply be standing up here this evening has nothing to do with my actions, but everything to do with what God has planned for me, therefore I stand up here and represent RCCS with pride and honor and It feels AMAZING !!!!" Caitlyn is a true princess. At just 5 years old, she believes that function should always come second to fashion! She is a true star and is the center of attention wherever she goes. Caitlyn is extremely motivated with a zest for life we should all strive for. Though the neurological disorder she fights against provides many hurdles, Caitlyn tackles them head on! Disability is a word she does not recognize because she proves everyday that anything is possible. Luis is getting ready to celebrate his 4th birthday! He has the heart of a prince and brings a smile to everyone around him. He loves Lightening McQueen and all things Cars. His quick wit will always catch you off guard. Luis has cerebral palsy. Though his body does not always move as fast as his mind does, he is never downhearted! He is creative and playful and is a true joy to know. Your day is simply better just having spent time with him! 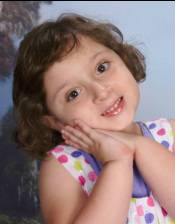 Quelyn Annixa Ontiveros (pronounced kay-lin a-nee-sa) was born on January 31, 2007 in San Antonio, Texas. Quelyn was born with Spina Bifida and even though she has only been walking for just over a year, she is an incredibly active little girl. Quelyn takes dance classes every week through KinderDance. She loves to go swimming with her big sister and play in the playplace at Chick-fil-a. Her favorite food is Macaroni and Cheese and she LOVES chocolate milk. Kyra Akken Alvarado, I was born on Februrary 17,2000 at 11:45 am. She started walking when she was 9 months old and began speaking fluently by the time she was 2. She hasn’t stopped since. 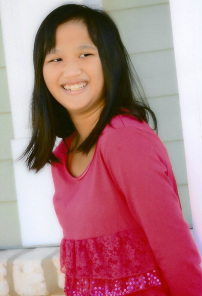 Kyra’s hobbies are swimming, playing with her dog, and hanging out with friends. When she grows up, she wants to go to collage, study nursing and become a pediatric RN. Quote - I am very thankful for my family and friends that helped me raise money so that I could be standing up here today. I never thought that I would be one of the students representing River City Christian School and it is a great blessing. Connally Mae Yan McCullough was born on January 2, 1999, in the province of Guangdong, China. She was adopted by Bob and Shelley McCullough in March, 2000, at the age of 14 months. From the very first day she joined her new family, she was a happy child, excited to see and do new things and thrilled to have the attention of two doting parents. She was also very excited when the family expanded to include her younger sister Beverly, who was adopted from China in 2003. 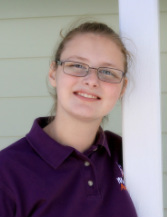 Connally has a phenomenal memory but continues to have learning and speech disorders, aggravated by being extremely shy – especially around other children of her age. She is a “girly girl” who adores fancy shoes, fingernail polish and anything pink. She is currently obsessed with the Beatles, listening to all their songs on her iPod and scouring the internet for any videos of her favorite, John Lennon. She loves attending school at Monarch Academy and has grudgingly accepted the fact that she must wear a uniform to school that is neither frilly nor pink! 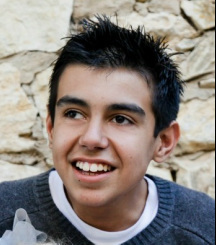 Christopher Garcia is a 15 year old who is very happy to be the newest student at Monarch Academy. 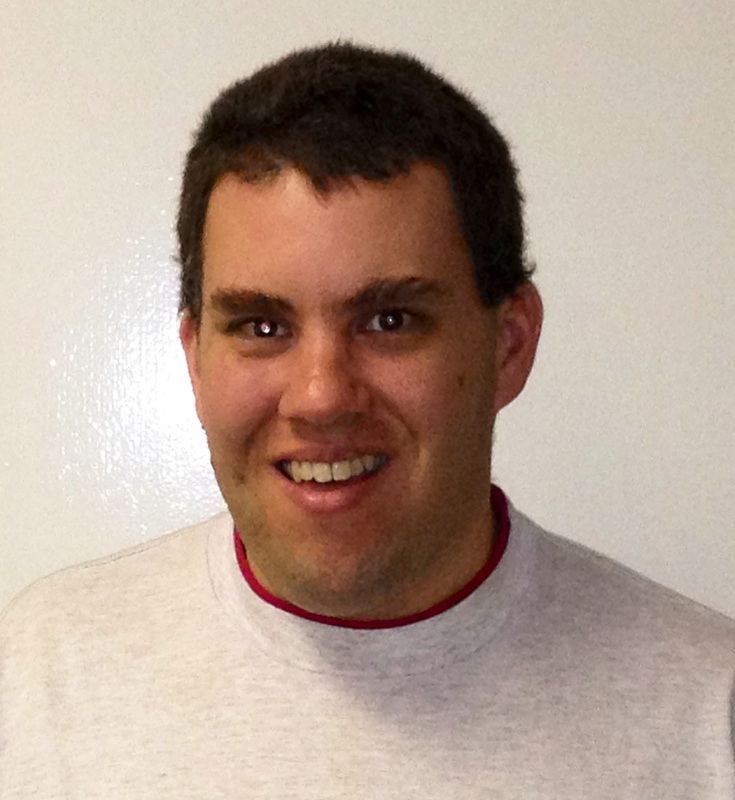 Chris is the son of Kyle and Melissa Anderson, and the best big brother to his brother Jack and baby sister Kate. He has a very large extended family that adores him. He attends church at St. John’s Episcopal in New Braunfels. Chris loves sports! His favorite teams are the Dallas Cowboys, San Antonio Spurs, and Kansas Jayhawks (His dad is from Kansas City). Chris also loves to travel and goes on an annual cruise with his grandmother. He loves the warm weather and the beach. Chris is very social and likes to make people laugh! Quote: I am excited about Fiesta Especial because I like the rides at the carnival. I like Monarch Academy because my friends are here.